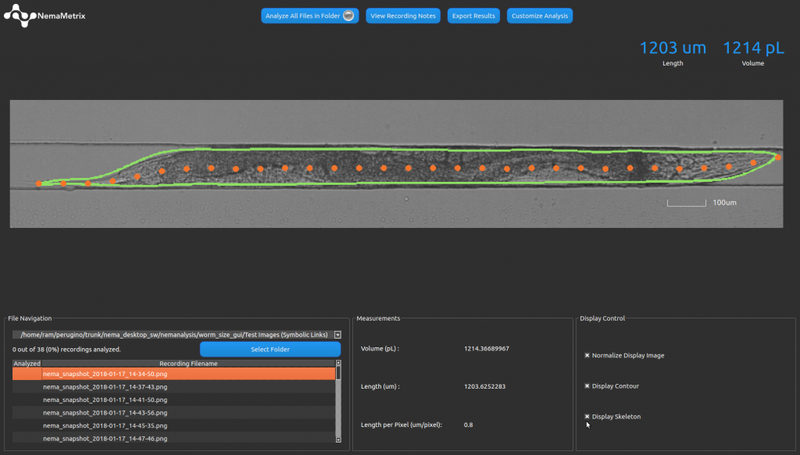 Our next version of software (still in development) will enable you to automatically quantify worm size. The ScreenChip System includes two software packages, NemAcquire and NemAnalysis. Both are fully integrated with the system and compatible with Mac and PC to enable automated data acquisition and analysis within minutes. They are free with the purchase of the system. NemAcquire software gives real-time frequency feedback during your experiment and allows you to visualize pumping in real time. Acquired data can be transferred seamlessly to the NemAnalysis software for further data analysis. 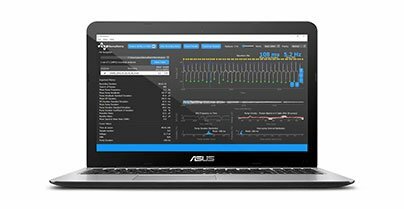 Additional data such as pump electrical waveform, spike ratios, pump duration and inter-pump-interval can be obtained from post hoc analysis using the NemAnalysis software.